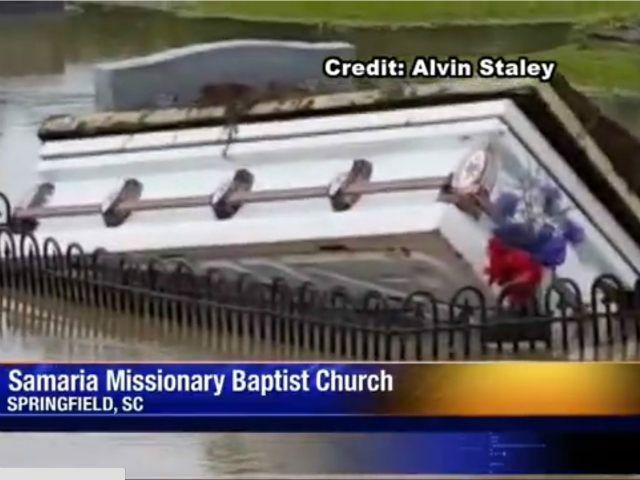 Since Hurricane Joaquin bumped up against a large severe storm system that was already headed to the area, South Carolina has been so inundated with a “thousand-year rain” that coffins are rising to the surface and floating around in cemeteries. Authorities have been boating from house to house in some ares of Columbia, South Carolina, helping trapped residents to evacuate, resulting in hundreds of people being displaced. “This is an incident we never had before. It is water, and it is slow-moving and sitting, and we cannot just take the water out,” the Gov. continued. In fact, the rains have been so heavy that coffins have floated to the surface, as the ground above them softened to muck losing the ability to keep the tombs below ground. Some residents of Columbia have lost everything they owned, and authorities say that the cost of recovery could be in the billions. 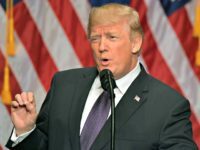 “Eventually the floods will abate, but then we have to access the damage, and I anticipate that damage will probably be in the billions of dollars, and we’re going to have to work to rebuild. Some peoples’ lives as they know them will never be the same,” Columbia Mayor Steve Benjamin said. Governor Haley has declared the state in a state of emergency to better coordinate resources jointly and respond to requests for state assistance from county emergency managers.